about from Intel | Intel put 100 drones in the sky in 2016 and broke a world record. 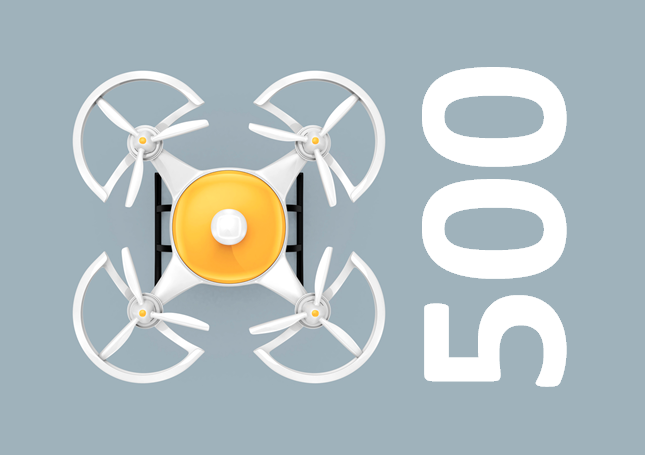 For 2017 we set a new challenge: 500 drones. Watch our new world record performance in action. about Intel IQ | IQ by Intel is our tech culture magazine that brings you deeper into the lives of people and the tech they’re using to change the world. Well known and up-and-coming innovators, makers and experts inside Intel and from across the industry help us explore how technologies are conceived, how they work, plus how we can use them in daily life. Each week, we dig into fashion, sports, gaming, health, lifestyle, the maker movement and more. about Intel | Intel, the world leader in computer silicon innovation, develops technologies, products and initiatives to continually advance how people work and live. Founded in 1968 to build semiconductor memory products, Intel introduced the world’s first computer microprocessor in 1971. This decade, our mission is to create and extend computing technology to connect and enrich the lives of every person on earth. Films on the making of the drone 3D masterpiece. about from Intel + Ars Electronica | Intel and Ars Electronica Future explain how they developed Drone 100, a 3D masterpiece and world record of art and airborne technology, using Intel technology to push the boundaries of what’s possible.